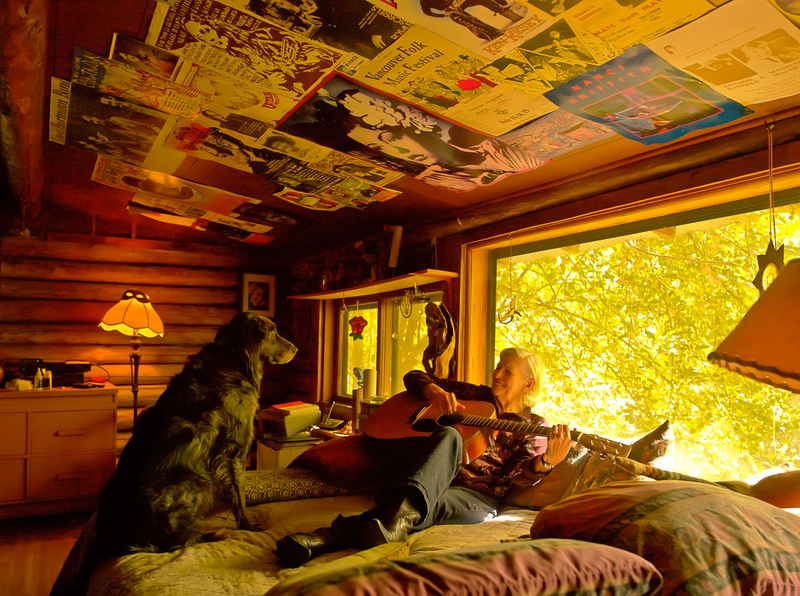 MANDOLINIST AND MUSICOLOGIST Thomas Sneed lives literally in the shadow of the Tetons — his home is the former climbing lodge of mountaineer legend Paul Petzoldt. Sneed renovated the two-story log structure after a fire gutted the building following Petzoldt’s death. The restored lodge has become “an oasis for people who are touring,” he says, noting that “most nights in the winter after powder skiing there’s a jam here.” The energetic and irrepressible musician is an unofficial world ambassador for old-time traditional music, and he travels the wilder parts of the planet — “Cuba, India, Nepal, Tibet: anywhere you can take a mandolin” — to share music and explore wild places. 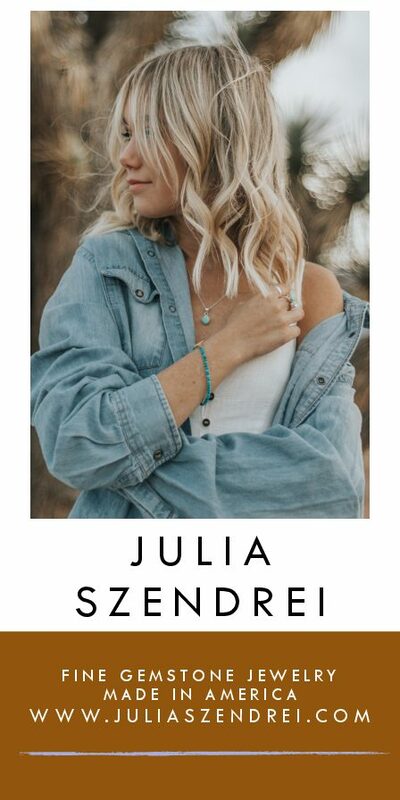 A protégé of Tennessee fiddler Ralph Blizard and John Hartford, Sneed has performed in venues from the Grand Old Opry to the Kennedy Center. His mandolin was painted in Lhasa, Tibet. 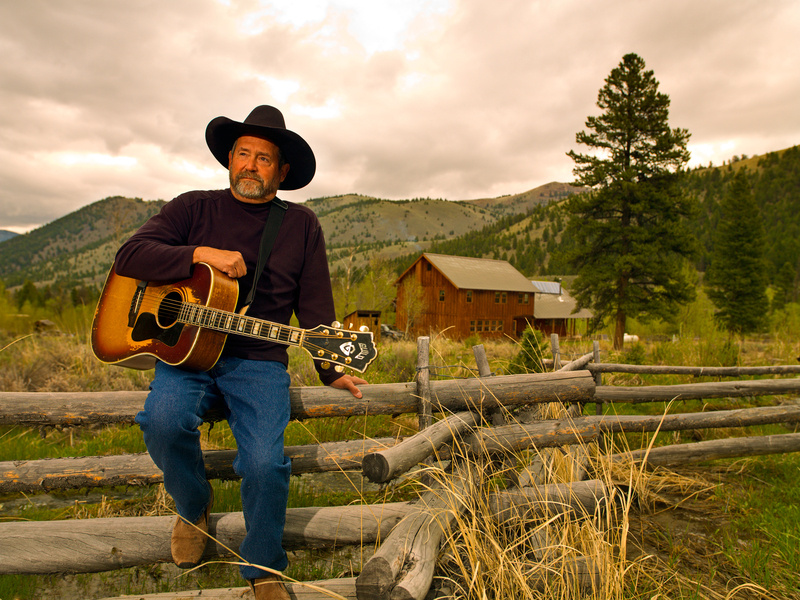 PINTO BENNETT LIVES in a sheepherder’s wagon not far from the southern Idaho sheep ranch where he was raised and learned to sing and play guitar, coming full circle in a way. After two or three heart attacks he has removed himself (mostly) from the honky-tonk life that has defined his music and world. 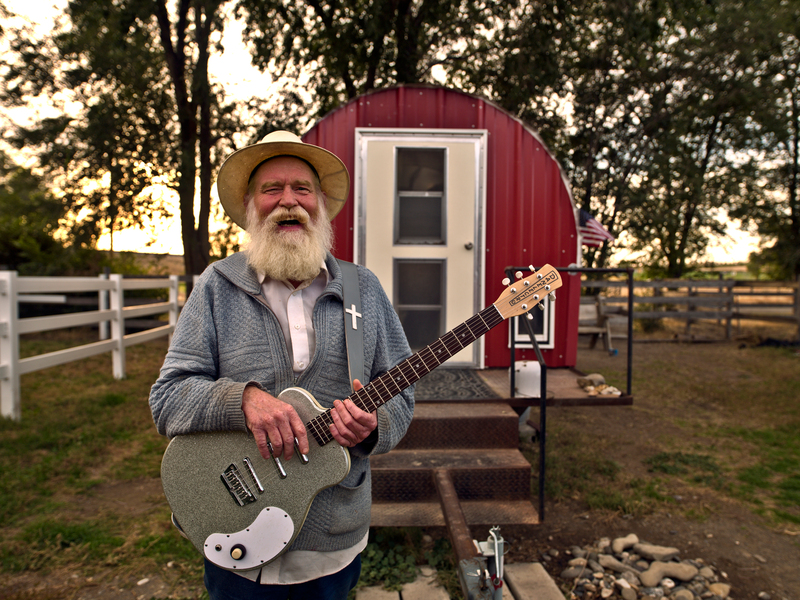 Situated on a horse ranch near the Snake River, Pinto shares his wagon with a cat, a dog, an amplifier and an electric guitar. He now plays mostly gospel and will soon release a new album, “Coming Soon.” A prolific and respected songwriter and bona fide cowboy, Pinto had his biggest following in England and the U.K., where he lived and toured for many years, fronting the Famous Motel Cowboys at festivals alongside Willie Nelson and Waylon Jennings. 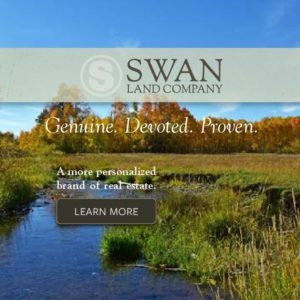 FOR THE PAST 36 YEARS Muzzie Braun has lived along Slate Creek in the White Cloud Mountains of central Idaho, where wolves, mountain lions and bears outnumber people by a wide margin. Despite — or perhaps because of — its extreme isolation, Braun has created a musical life that extends far beyond his mountain home. In the 70s and 80s he performed with his brothers Gary and Billy as the Braun Brothers, then — still keeping it in the family — created a band with his four sons, Muzzie and the Boys, which played on the Late Show with Johnny Carson and Jay Leno. Muzzie organizes and plays the annual Braun Brothers Reunion, a three-day music festival in Challis, Idaho, which headlines national recording artists, including Reckless Kelly, fronted by two of his sons. 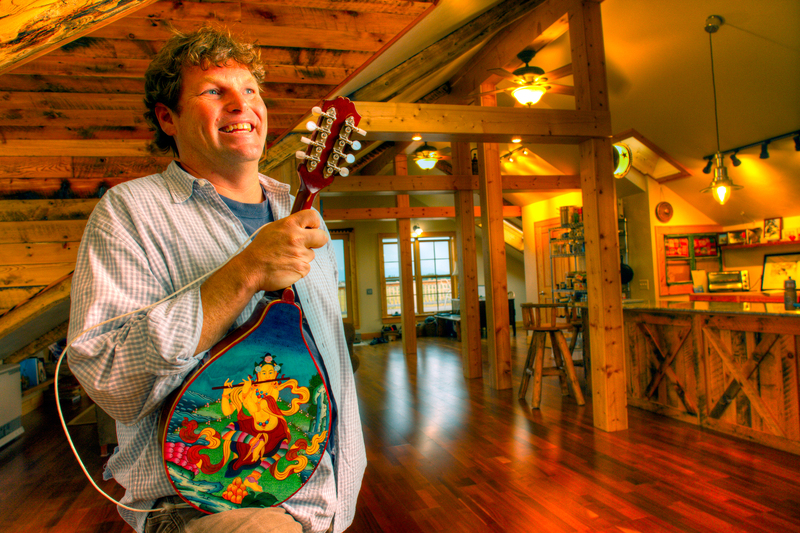 JOHNNY THOMSEN IS A TRUE musician, sketching out a life from the banks of Mores Creek, by performing at folk festivals, schools, political rallies and community gatherings. Along the way he has worked as a Forest Service fire lookout, carpenter and cabinetmaker. The house he built in 1976 at self-named Loafers Glory is a testament to that life — hand-carved doors, art and artifacts scattered about, a sheepwagon under construction, and musical instruments throughout. 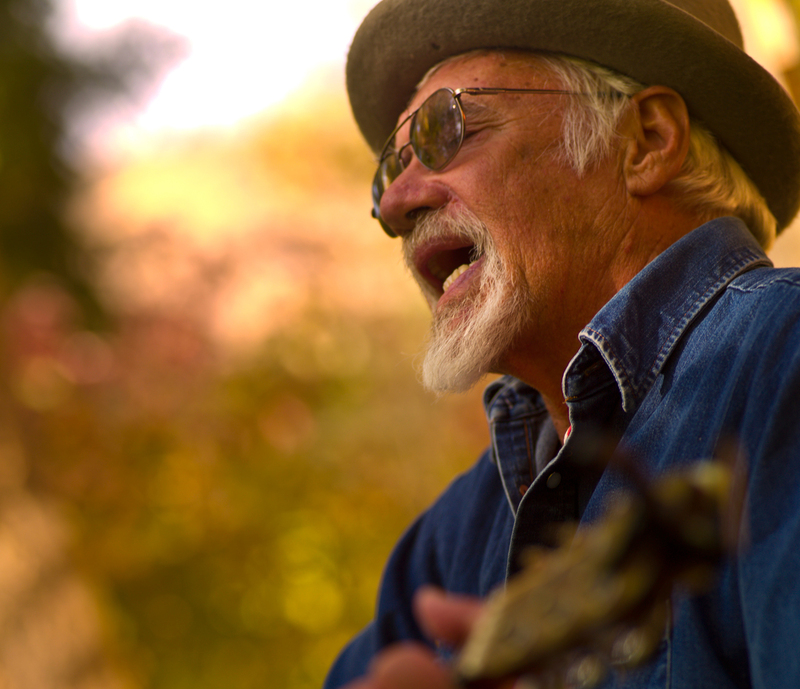 He plays the guitar, recorder, Dobro, harmonica, swynette, mandolin, flute, autoharp, accordion and banjo. [20111010_Thomsen_0097-Edit_web copy] His repertoire runs toward Idaho folk songs, Irish tunes, folk humor and songs about the railroad and the Oregon Trail. Johnny’s own best known song is a satirical take-off of “The Tennessee Stud,” refashioned as “The Idaho Spud,” with references to nuclear waste and Sun Valley’s Gucci culture. BEHIND BEN WINSHIP’S Teton Valley house — past the parked driftboat, the wood-fired pizza oven, sauna and salmon smoker, beside the garden and apple tree — is his recording studio known as “The Hen House.” Here the singer/songwriter, multi-instrumentalist, recording engineer, producer and music instructor records both his own music — with his bands Brother Mule, Kane’s River and Growling Old Men — plus a wide array of primarily acoustic-based roots musicians. 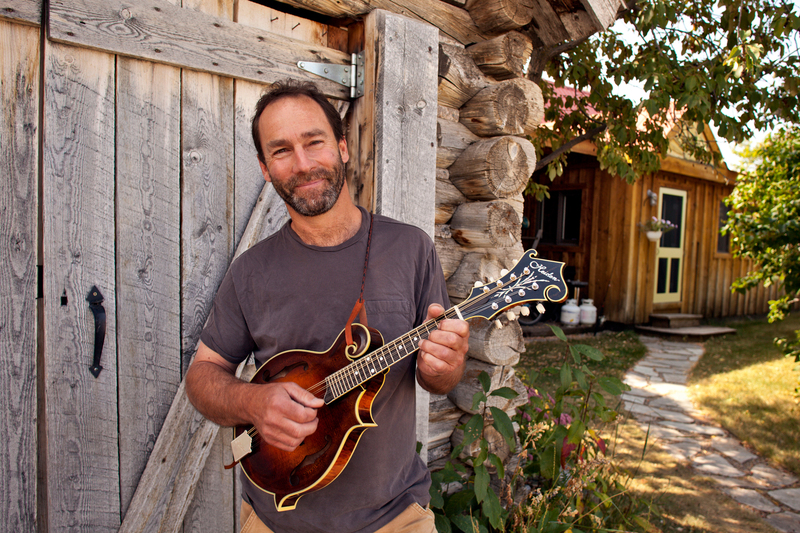 Since 1986 when Winship moved to Idaho’s Teton Valley with a forestry degree and a car-full of mandolins, guitars and banjos, he has carved out a life equal parts music and outdoor living. His musical outdoor life perhaps reaches its apogee with his Fishing Music albums: collections of songs inspired by fish, fishing and rivers, performed by Winship along with some of acoustic music scene’s top artists including Tim O’Brien, Rob Ickes, Mike Dowling and Matt Flinner. 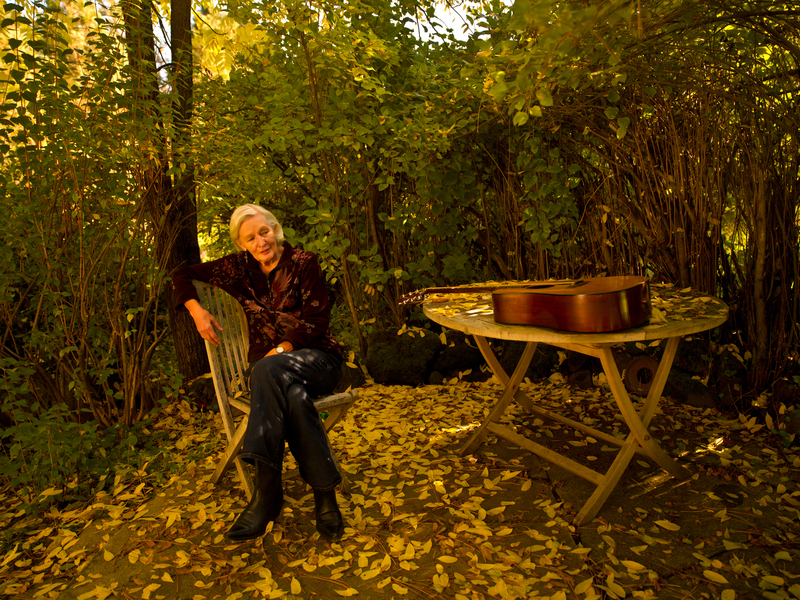 THE ORIGINAL “Traveling Lady,” Rosalie Sorrels has lived a storied life at the heart of the folk music revival and beat scene, but her travels have always led back to the log cabin her father built in the Idaho mountains alongside Grimes Creek. She has recorded 25 albums (two nominated for Grammys), written three books, performed at the 1966 Newport Folk Festival, been written about by Studs Terkel and was the inspiration for Nanci Griffith’s song “Ford Econoline.” “It was a station wagon, not an Econoline,” says Sorrels, but the gist of the tale is true: The lady left her husband in the mid-60s and took to the road with her five children, embarking on a life as a musician and storyteller. In between tours, her Grimes Creek cabin, 30 miles from Boise, became a stopping place for musicians, artists, poets and writers.